Announcing an open-to-everyone edition of the Laboratory of Literary Architecture to be held in Prague this June at the amazing DOX Centre for Contemporary Art in collaboration with ARCHIP, the Architectural Institute in Prague. 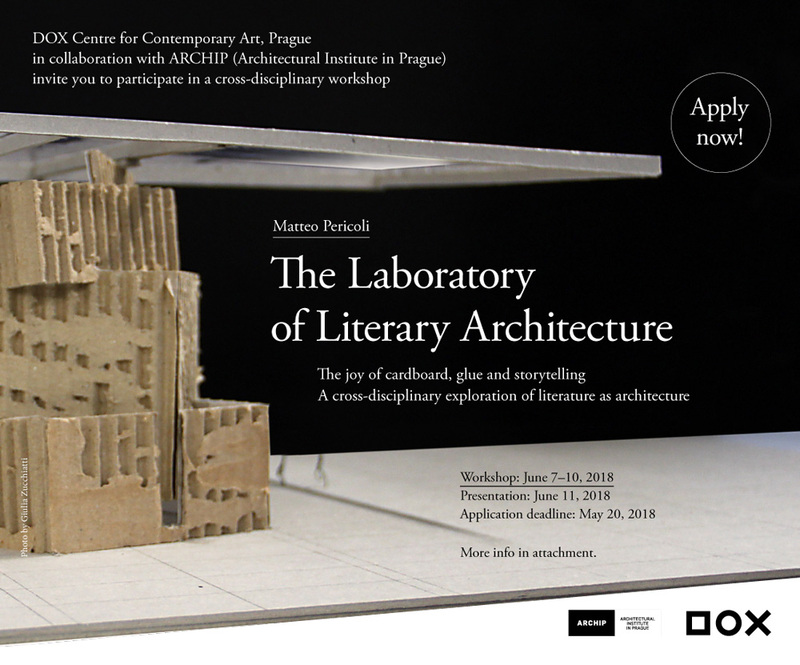 If you are an avid reader and/or a writer, a writing student or literature scholar/student, an architect or an architecture student, or are just curious to try your hand at the LabLitArch’s approach to Literary Architecture, what better occasion than at this great museum in such an incredible city? The workshop will be held in English and the dates are June 7 – 11. Details about the application process, costs, hours and contact information can be found here or by clicking on the invitation below. The application deadline is May 20.